Have you ever craved for a delightful snack only to be hampered by the fact that it isn’t available in your state? Growing up with our famous local delicacies is part of what makes us Malaysian. Therefore, the Chew family believes that every Malaysian will always crave a taste for their home country, whether at home or abroad. 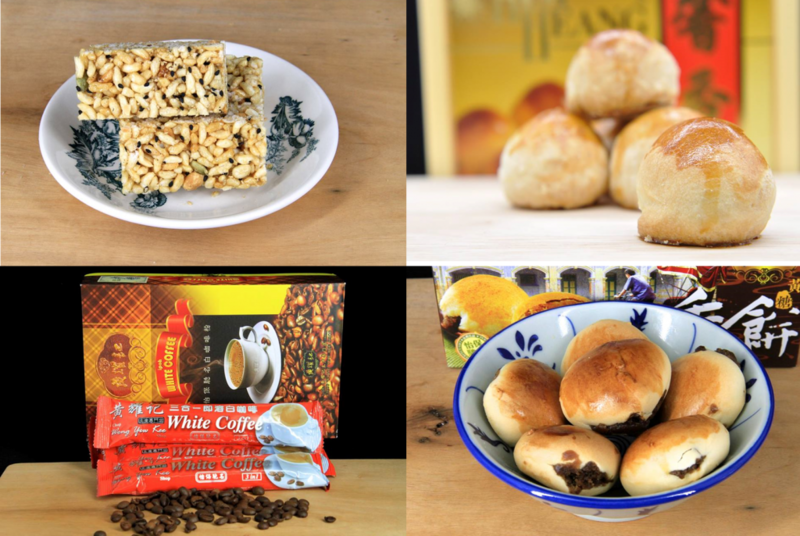 Originally founded by three siblings from the Chew family, Food Connection brings Malaysian goodies right to your doorstep. 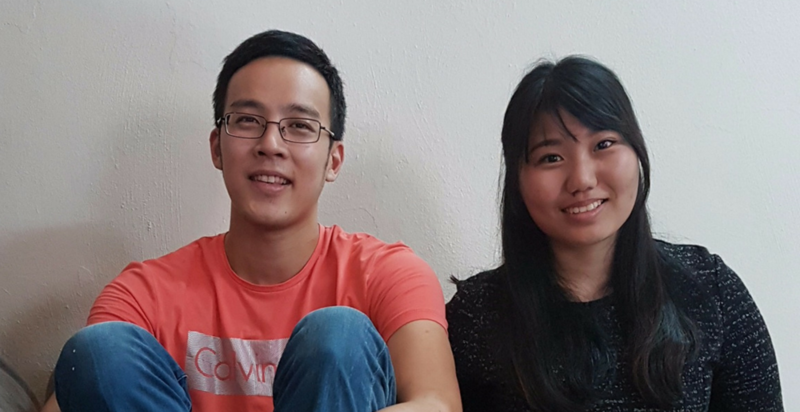 “We realised there is a gap between demand and supply of local Malaysian delicacies,” said Chew Choong Ching, co-founder. People are unable to get their favorite delicacies from different states because of the long physical distance. It also inconveniences them to travel there physically just to pick the goodies up. Of course, there’s the good old method of relying on friends and family, but you’re subject to their schedule instead. 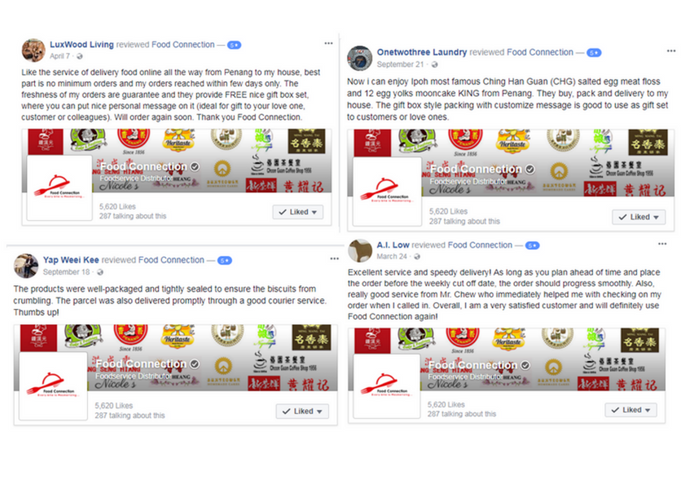 Food Connection‘s website was officially launched on 19th November 2016, and they’ve made a total of 240 deliveries across Singapore and Malaysia today. They partner with several traditional and well-known brands to bring their products on their platform, which have reached to a total of 60 brands and are still expanding. 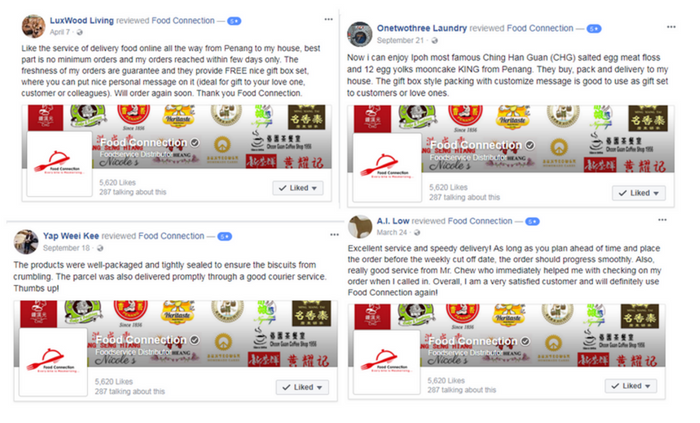 Some of the more popular brands they partner with are Ching Han Guan (Ipoh), Sin Weng Fai (Ipoh), Ming Xiang Tai (Penang), and Ban Heang (Penang) just to name a few. Chew also added that most of the sellers are still using the traditional way to do business, thus they lack in manpower, knowledge and a suitable platform for them to engage with customers from other places. “Thus, we provide this service which is beneficial to both seller and buyer,” he said. They have a total of three product categories on their website, which caters to Ipoh Delights, Penang Delights and Klang Valley delights. Coffee and cereal products are listed on two separate categories as well. Some of their most popular delicacies that resonated with me included the Meat Floss Lotus Biscuit, Sesame Soft Candy, Tambun Biscuit, Salted Egg Yolk Potato Chips, and dodol. A packaged box of salted egg yolk chips can cost from RM20 to RM40, depending on the size and weight. Similarly, the biscuits and cookies cost about RM10 to RM20 each. Delivery is charged by distance and also by weight, but they’re currently running a promotion where the shipping fee in West Malaysia is RM9.90 for the first 2kg. If you’re worried about the fragility of the package and having your biscuits reduced to crumbles, have no fear; Food Connection ensures the goods are properly packaged with their custom-made parcel that is wrapped with three layers of bubble wrap and cardboard. Thus, the product weight is inclusive of packaging weight. Currently their website records 758 subscribers and 81 5-stars reviews on their Facebook page. They also keep the freshness of your food in mind, as they compile all orders till the end of the week to be packed and shipped off on the same day to prevent any delays. Customers can track their order on the website if they wish; simply enter the tracking number in the column then click ‘find’ to obtain the parcel status. Even with the limitations they face, they still managed to generate a total of RM23k revenue within 9 months. It wasn’t easy for them to convince the traditional local brands to shift online as many were new to the concept and did not trust that revenue would return so easily. They were originally unable to purchase majority of the local brand products outstation, and have thus stationed agents across the states to get the products first-hand. Besides external sellers, Food Connection also sells their own homemade delicacies like crab sticks crisps and seaweed rolls. In the future, they would like to expand to delivering frozen foods as they are still looking for a reliable courier company that can the provide services they need. They are also trying to get more local food from other states on board, as they want to help increase the awareness and reach to people from different states. Chew commented on how culture and tradition tends to be easily forgotten by people nowadays.